We are busy here in Abilene rehearsing for our concert tomorrow with the Abilene Philharmonic. We will be performing Rachmaninoff’s Piano Concerto No. 3 and Beethoven’s Symphony No. 3. It is going to be a great concert, please join us if you are in the area! We enjoyed our breakfast with our colleagues this morning. 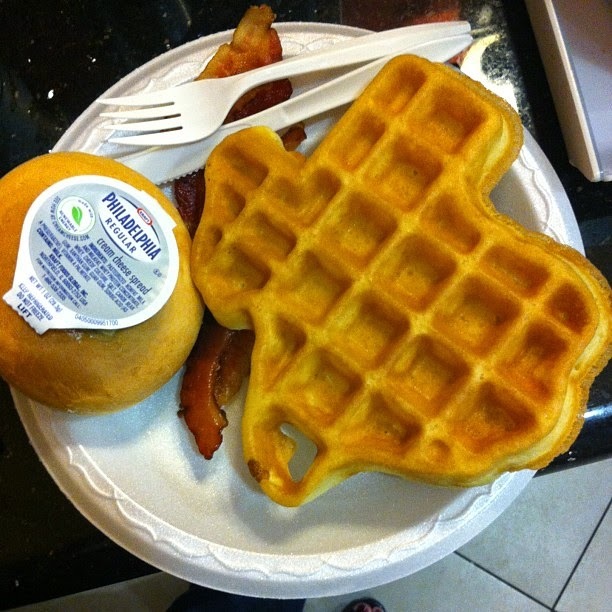 I do believe that Texas-shaped waffles taste better than normal waffles.